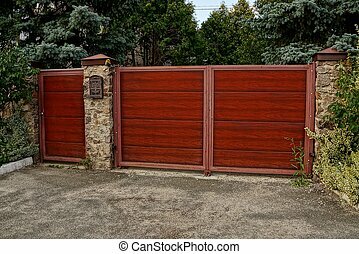 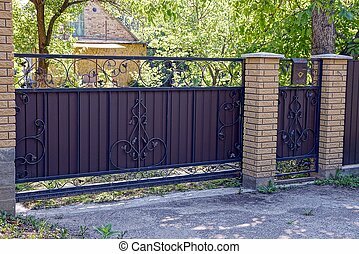 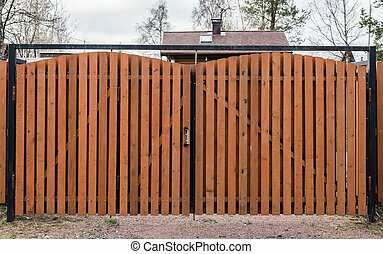 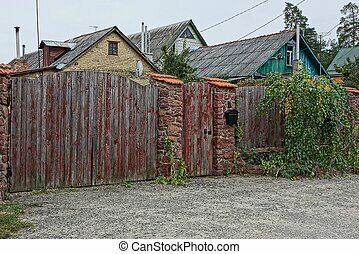 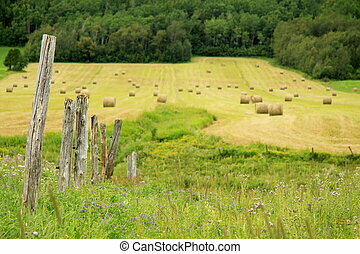 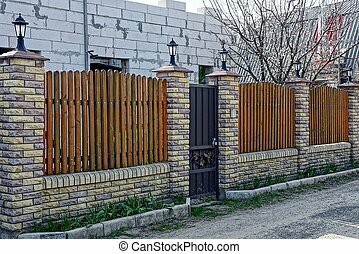 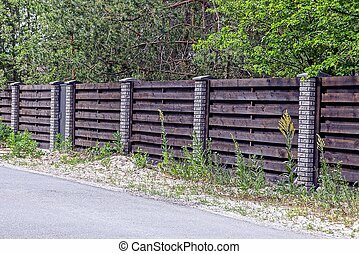 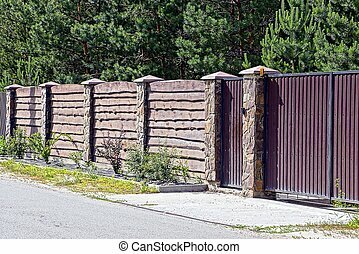 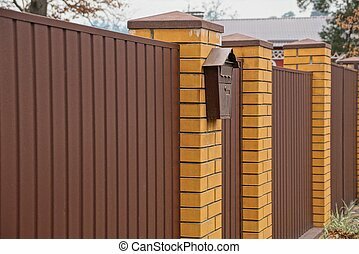 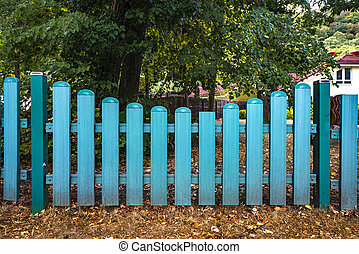 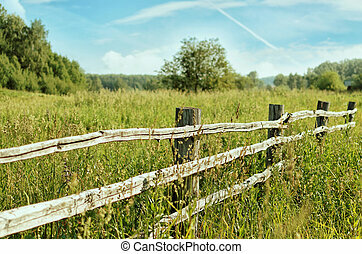 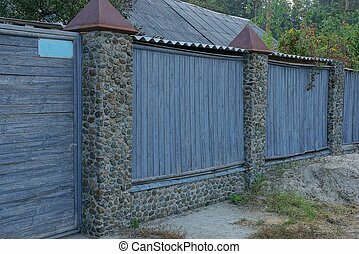 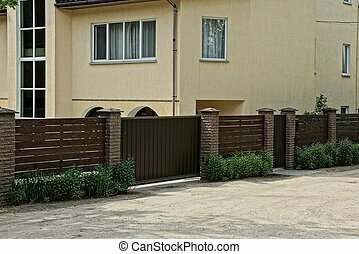 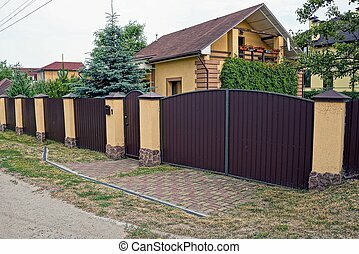 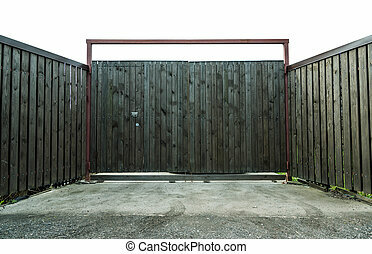 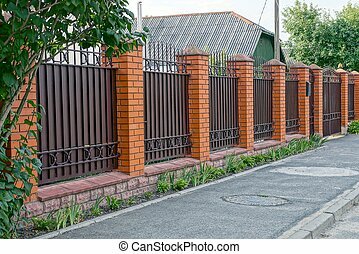 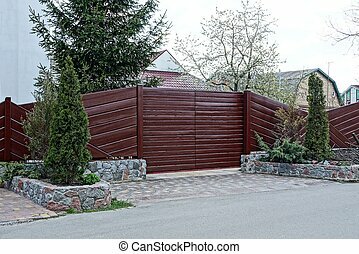 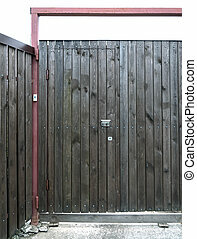 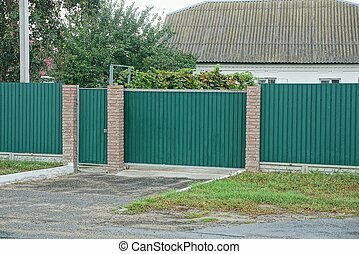 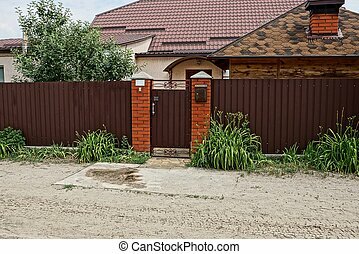 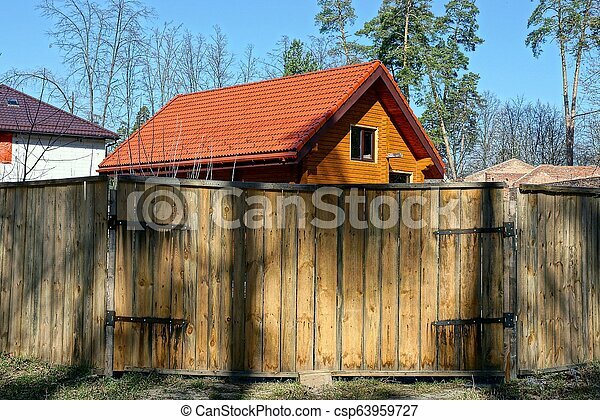 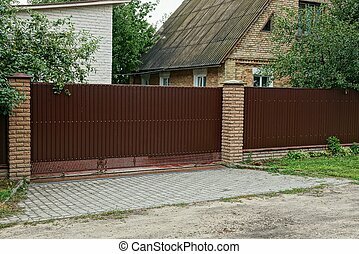 Brown wooden gate and a fence of boards outside in the grass. 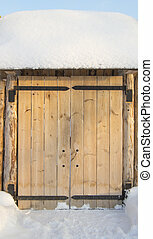 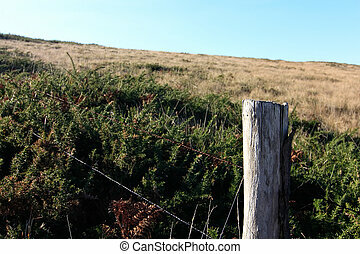 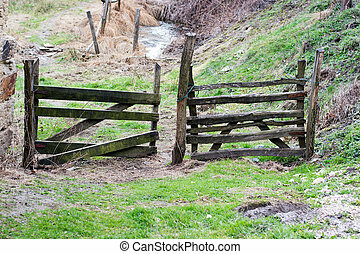 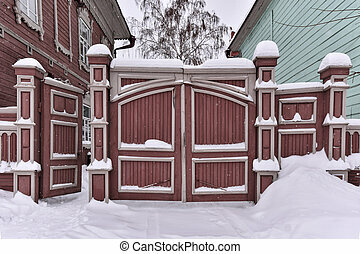 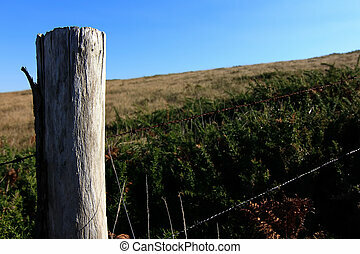 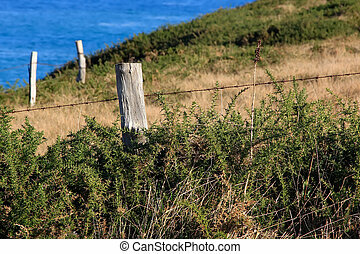 Brown closed wooden gate and part of the fence of boards outside in the grass. 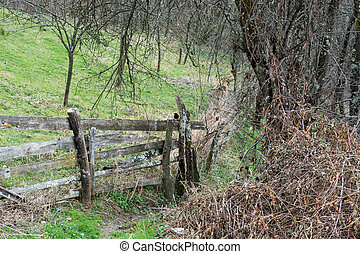 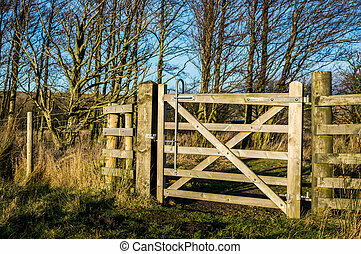 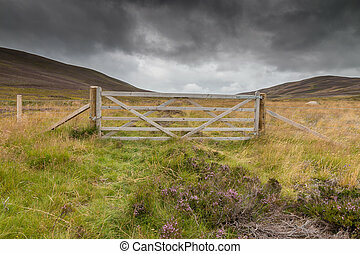 Wooden gate on a path in the countryside of Cumbria.